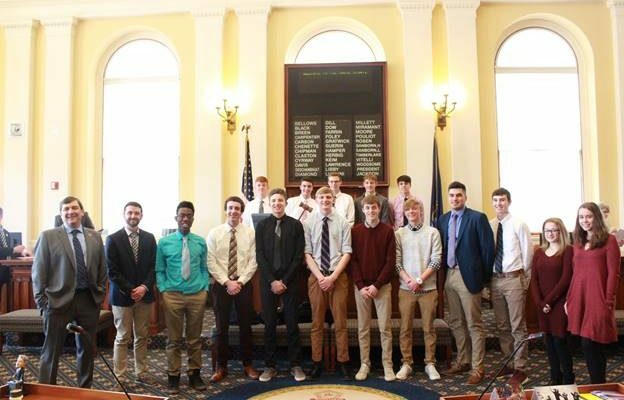 Senate President Troy Jackson, D-Allagash, welcomed the Caribou High School boys basketball team to the State House on Thursday. The team recently won the Class B State Championship — the first championship for the team in 50 years. 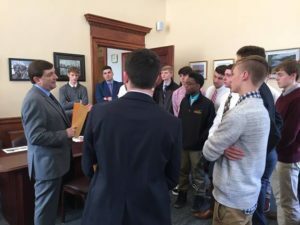 AUGUSTA, Maine — Senate President Troy Jackson, D-Allagash, welcomed the Caribou High School boys basketball team to the State House on Thursday. The team recently won the Class B State Championship — the first championship for the team in 50 years. President Jackson presenting the team with a legislative sentiment in his office. The team was formally recognized on the floor of both the House and Senate, where President Jackson congratulated them on their efforts. The team was also presented with a Legislative Sentiment for their efforts. Sentiments are a significant expression by the Legislature in recognition of civic and public achievements.